Autumn is almost here, which also means its almost time for all things pumpkin spice. I love, and I mean LOVE, all things pumpkin spice! It has been a favorite flavor of mine for years and I still wonder why I cant get it all year long. Actually, last year I wrote a whole blog post on the subject, and you can read it by clicking here. We have to wait for the temperatures to cool and the leaves to change, but we don’t have to wait to start our seasonal planning. 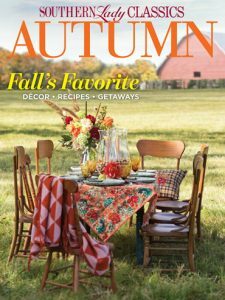 With the arrival of our new autumn themed issues, I am already making my list of decorating ideas and must-try recipes. Start your planning too with one, or two of this year’s new issues. 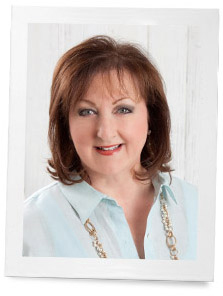 Southern Lady Classics Autumn: Enjoy the Southern way of life against the colorful backdrop of autumn splendor with this seasonal showcase of home tours, decorating ideas, travel destinations, easy recipes, and more! 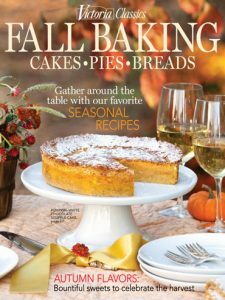 Victoria Classics Fall Baking: With a focus on cakes, pies, and breads, this issue presents the most mouthwatering offerings on a spectrum from sweet to savory. With the fruits of the orchard, where lemons, apples, and muscadines keep company with pears and figs and the ambrosial combination of chocolate and caramel, which combine to create a truly divine nectar. And a rich bounty that harnesses the flavors of the harvest, where coconut meets pumpkin, gingerbread embraces citrus, and those perennial enticements—pumpkin and squash—reach new heights of taste. Paula Deen’s Fall Baking: Paula loves all things fall, from the cooler weather to the family time at the holidays. And this time of year, she’s especially excited to get to baking. 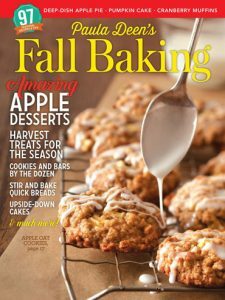 This special issue contains all the flavors you crave each autumn and desserts you’ll be anxious to create for your loved ones to enjoy. Baking up these cobblers, cookies, quick breads, cakes, and more is the perfect way to celebrate the start of the autumn season. 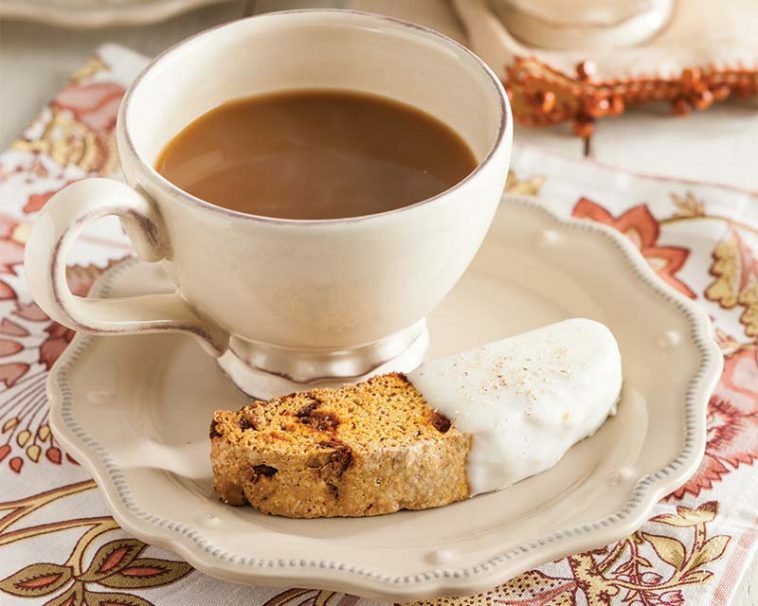 On the top of my baking list is trying the Pumpkin Spice Biscotti recipe found in this years Southern Lady Classics Autumn issue. Preheat oven to 350°. Line a large baking sheet with parchment paper; lightly dust with flour. In a large bowl, beat flour, sugar, pumpkin pie spice, salt, baking powder, and baking soda with a mixer at low speed until combined. In a medium bowl, whisk together eggs, pumpkin, and vanilla. Add pumpkin mixture to flour mixture, beating until smooth dough forms. Beat in cinnamon morsels. Divide dough in half, place on prepared pan. Shape each half into a 15x4-inch log. Bake until center is firm to the touch, about 30 minutes. Let cool for 15 minutes. Reduce oven to 300°. Line a large baking sheet with parchment paper. Using a serrated knife, cut logs into ¾-inch pieces, lay on side of prepared pans. Bake until firm to the touch, about 15 to 20 minutes. Let cool completely. In a small microwave-safe bowl, heat white chocolate on high in 15-second intervals, stirring between each, until melted. Dip end of biscotti in melted chocolate, and place on parchment paper to let cool. Garnish with nutmeg before chocolate has hardened, if desired. What will you be baking this fall? Almond flour substitute for all purpose flour? Do you think I could use Almond flour instead? Has anyone tried it, I am on a weight watching program and would be happy if I could!